Award Year: 2002 In her Investigator Award project, Race and Health across the Twentieth Century, Dr. Dora Costa looks to the past to help us understand the factors that led to health differences between whites and African Americans. Dr. Costa will use various datasets that span the entire twentieth century and, for the early twentieth century, include selected populations, such as children born at Johns Hopkins Hospital and African American Civil War veterans. Armed with these data, she will examine health outcomes during the first 10 days of life, and again at middle and late ages. Her study will explore how differential access to technology and knowledge contributes to disparities in health status. By analyzing conditions such as heart disease, where significant technological advances have been evident, Dr. Costa will investigate the role of access to technology in outcome disparities. She will also consider how historical politics contributed to racial differences in access to clean water, sewage, and medical care. Dora L. Costa is professor of economics at UCLA where she teaches economic history. She is also an associate director of the California Population Research Center, a research associate in the National Bureau of Economic Research's (NBER) programs on the Development of the American Economy and on Aging and the director of the NBER working group Cohort Studies. Until 2008, she had been professor of economics at MIT. She received her B.A. in economics and mathematics from the University of California, Berkeley in 1986 and her Ph.D. in economics from the University of Chicago in 1993 and joined MIT in 1993. 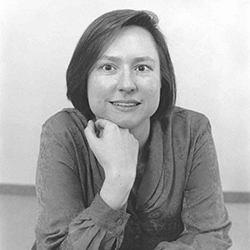 She spent 1995-1996 at the National Bureau of Economic Research as an Aging Fellow, 1999-2000 at the Russell Sage Foundation as a visiting scholar, and 2003-2004 at the Center for Advanced Study in the Behavioral and Social Sciences as a fellow. She has received several NIH grants. Costa's research focuses primarily on issues in labor economics, demography, and health, as interpreted over the long span of American economic history. Her work has covered a wide range of topics including: retirement, elderly living arrangements, determinants of older age mortality and morbidity, long-term trends in the health of the population, trends in leisure, CPI bias, and social capital. Most of her research contrasts and compares the past with the present and examines why cross-sectional relations have been changing to better inform our understanding of the future. She is the author of numerous articles and a book, "The Evolution of Retirement: An American Economic History 1880-1990" (University of Chicago Press for NBER 1998). She is currently pursuing two lines of research. One is an investigation of long-term trends in health inequality by social class at all stages of the life cycle and of the effect of childhood health on morbidity and economic outcomes at older ages. The other line of study is on social capital, using data from the Union Army. She and Matthew Kahn are currently working on a book, "Heroes and Cowards: The Social Face of War". Costa, D.L., Kahn, M.E. Deserters, Social Norms, and Migration. J of Law and Economics, 2007, 50(2): 323-53. Costa, D.L., Helmchen, L.A., Wilson, S. Race, Infection, and Arteriosclerosis in the Past. Proceedings of the National Academy of Sciences, 2007, 104(33): 13219-24. Costa, D.L., Kahn, M.E. Forging a New Identity: The Costs and Benefits of Diversity in Civil War Combat Units for Black Slaves and Freemen. J of Economic History, 2006, 66(4): 936-62. Costa, D.L., Lahey, J.N. Becoming Oldest-Old: Evidence from Historical US Data. Genus, 2005, 51(1). Costa, D.L. Causes of Improving Health and Longevity at Older Ages: A Review of the Explanations. Genus, 2005, 51(1): 21-38. Costa, D.L., Lahey, J.N. Predicting Older Age Mortality Trends. J of the European Economic Association, 2005, 3(2-3): 487-93. Costa, D.L., Kahn, M.E. The Benefits of Social Networks in POW Camps. NBER Working Paper , Dec 2005, 11825. Costa, D.L. Race and Older Age Mortality: Evidence from Union Army Veterans. NBER Working Paper , Nov 2004, 10902. Costa, D.L. Race and Pregnancy Outcomes in the Twentieth Century. J of Economic History, 2004, 64(4): 1056-86. Costa, D.L., Kahn, M.E. Heroes and Cowards: The Social Face of War. Princeton University Press, 2008.